OTTAWA — The federal government should do more to warn Canadians about the dangers of Wi-Fi, cellphones and baby monitors, some MPs on the Commons health committee say. “We are in a soup of radiation from cellphone and cellphone towers, and baby monitors and iPads,” Conservative MP Terence Young told The Huffington Post Canada. Health Canada, the department charged with helping Canadians maintain and improve their health, is failing to do its job, Young said. “There is evidence of risks that they are refusing to recognize,” he said. The House of Commons health committee recently heard from several scientists who questioned the safety of devices — such as cellphones, cordless phones, and wireless Internet routers — that emit radiofrequency (RF) radiation. Dr. Martha Herbert, a research neuroscientist at Harvard Medical School, described a plausible link between autism and RF radiation exposure. 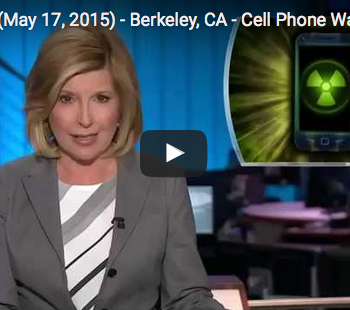 She said radiation from cellphones penetrates deeper into children’s heads and can damage cells. She called for Wi-Fi to be banned in daycare and preschools and limited in schools after Grade 3. Dr. Devra Davis, who worked with the U.S. National Academy of Sciences and shared in the Nobel Peace Prize with former U.S. vice-president Al Gore in 2007, outlined research that suggested that cellphone radiation affects the DNA of sperm as well as the fertility of middle-aged male rats. “The evidence on the damaging effects of cellphone and other wireless radiation is as strong, if not stronger, than the evidence on climate change,” she told committee members. Dr. Anthony Miller, a professor emeritus at the University of Toronto who has done research on ionizing radiation and cancer, and on electromagnetic fields and cancer, described a study in France that found a doubling of risk of glioma, the most malignant form of brain tumour, after two years of exposure to cellphones. “After five years, it was five times the risk,” he told MPs. 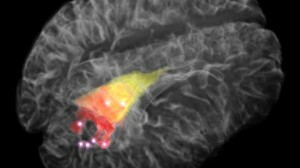 Miller, who also worked with the International Agency for Research on Cancer (IARC), which designated radio frequency fields as a class 2B carcinogen — that is, a possible cause of cancer, noted there were also reports of relatively young women developing unusual breast cancers in the exact position where they kept their cellphones in their bras. Class 2B carcinogens also include items such as coffee, coconut oil and pickled vegetables. Dariusz Leszczynski, a biosciences professor at the University of Helsinki, told MPs that the scientific community has polarized into two extremes, one group that believes cellphone and wireless communication radiation have no effect and another group that believes it has harmful effects. The chair of the Royal Society panel was dumped because of an undisclosed conflict of interest. Dr. Paul Demers of Cancer Care Ontario, who took over as chair, told MPs his panel was asked to determine whether there were any established adverse health effects at levels below those recommended by Health Canada. The standard, he said, was whether the adverse health effects had been seen consistently or observed in multiple studies using strong methodology. “It required an effect being observed in not just a single study,” he said. In its April report, the panel found no evidence of adverse health effects occurring at levels below those allowed by Safety Code 6 — the regulations laid out by Health Canada. However, the panel noted it was possible that future studies might alter the balance of evidence and it called on the department to aggressively pursue researchon RF radiation and cancer. Anne-Marie Nicol, an epidemiologist at Simon Fraser University who was part of the Royal Society expert panel, told committee members she felt it was important that scientists understand what people are exposed to and what their symptoms might be. “Currently, that data is not being collected,” she said. Young told HuffPost he believes the benchmark the expert panel used was too high and that they ignored studies that suggested a possible risk. Young, whose Oakville, Ont., riding is home to the lobby group Canadians for Safe Technology, has been trying to persuade Ottawa to mandate warning labels on cellphones so Canadians are aware of the potential risks. His private member’s bill, C-648, an act respecting the prevention of potential health risks from radiofrequency electromagnetic radiation, has support from MPs from all parties but has no chance of becoming law before the next election. There are more than 24 million cellphone users in Canada. “Canadians are among the heaviest users of wireless technology in the world,” Bernard Lord, the CEO of the Canadian Wireless Telecommunications Association, told the MPs. On its website, Health Canada states that RF energy poses no confirmed health risks but it acknowledges that a small number of epidemiological studies have shown brain cancer rates may be elevated in long-term/heavy cellphone users. – texting instead of calling. Health Canada says Safety Code 6 limits are designed to provide protection for all age groups 24 hours a day, seven days a week. Young wonders why Health Canada is warning parents to limit their children’s use if there is no evidence of risk. Frank Clegg, the past president of Microsoft Canada and the head of Canadians for Safe Technology, believes Safety Code 6 is significantly higher than it needs to be. He thinks Health Canada cherry-picked the scientists on its expert panel and kept scientists with contrary opinions off it. “I’ve been in this industry my whole life, and there are solutions out there that are safe,” he said. But governments need to force [industry] to do it, Clegg added. “Unfortunately, Canadians are clueless that, if not used properly, these devices (cellphones, cordless phones, baby monitors and wireless routers) can harm them, their children and grandchildren,” he said. “I don’t blame parents. They don’t know. I blame Health Canada for not running a campaign to say, mom and dad, don’t use these things as pacifiers,” he said, about cellphones and tablets. Cellphone manufacturers do warn consumers not to use their products pressed against their heads or their bodies. One iPhone 5 warning, buried deep in the legal notices, states: “Carry iPhone at least 10 mm away from your body to ensure exposure levels remain at or below the as-tested levels.” Heads-free option such as the speakerphone and supplied headphones can be used to limit RF exposure, the warning states. Cases that have metal parts may also change RF exposure in a way that has not been tested or certified, the warning adds. A Blackberry warning for the Bold 9780 states that it should be carried 25 mm away from the body while the device is transmitting. “The long-term effects of exceeding RF exposure standards might present a risk of serious harm,” the manufacturer’s booklet notes. The Canadian Wireless Telecommunications Association’s Marc Choma told HuffPost the warnings are there because it is impossible to test cellphones in all the different ways they are used. He said he would oppose any public education campaign from Health Canada on the basis that there is no evidence from credible scientists that says wireless devices are harmful to human health. “If you have 10,000 studies that don’t find any health effect and you find 20 studies that suggest maybe there is something, you have to take that into account, and that’s how they arrive at the health standard,” he said. Health Minister Rona Ambrose declined to say whether she thought a public education campaign was needed. The department recently spent $7 million to warn Canadians about the dangers of marijuana. Michael Bolkenius, Ambrose’s press secretary, said current guidelines were set by Health Canada experts who constantly monitor the latest science and routinely review safety limits. “Canada’s limits are similar to those of other countries around the world like the United States, Australia, the European Union and Japan,” he said. Several countries, however, have much tougher guidelines. In France and Israel, Wi-Fi is banned in pre-schools. In France and Belgium, it is illegal for cellphones ads to target children under 14, and phones intended for young children are banned. Last month, the city council in Berkeley, Calif., passed a law requiring health warnings to be distributed with the purchase of a cellphone. Liberal health critic Hedy Fry said Canada should adopt a precautionary approach while long-term studies are conducted. “Let’s not wait until we have absolute proof that there is harm, when there [are early indications] that there is harm,” the Vancouver physician said. Drug companies put warning labels on their products, Fry said, and so should cellphone and wireless manufacturers. “We shouldn’t have to find out 30 years from now, or 15 years from now, that we have created irreversible damage to people,” she said. Two NDP MPs on the health committee declined to be interviewed. Victoria MP Murray Rankin told HuffPost he didn’t care to discuss the matter. The health committee is currently reviewing its draft report. CORRECTION: A previous version of this story incorrectly stated professor Dariusz Leszczynski had qualified the two groups of scientists as a larger group which believes cellphones and wireless have no effects and a smaller group who believes it has harmful effects. In fact, Leszczysnki said the groups should not be qualified as big and small group because the size of the groups was never examined.An earlier version of this story also misspelled Marc Choma’s name.